So Volkswagen’s Not the Only Emissions Cheat? Maybe…Fiat Chrysler Automobiles NV and engine maker Cummins Inc. got hit with a proposed consumer fraud class action alleging the diesel engines in Dodge Ram trucks hide the trucks’ emissions, which are above the legal limit. Specifically, the plaintiffs claims that Chrysler and Cummins conspired to knowingly deceive customers and regulators with respect to the emissions levels generated by Dodge Ram 2500 and 3500 trucks outfitted with the Cummins 6.7-liter turbo diesel engine, which were emitting dangerous levels of nitrogen oxides. “The defendants never disclosed to consumers that the affected vehicles may be ‘clean’ diesels in very limited circumstances, but are ‘dirty’ diesels under most driving conditions,” the complaint states. According to the Chrysler emissions lawsuit, the engines have a technology built in that traps and breaks down pollutants, a design feature meant to reduce the amount of NOx going into the atmosphere through the trucks’ exhaust. However, when the trucks are traveling for long distances or up hills, they emit far more pollutants that allowed under California and federal law. Nice. 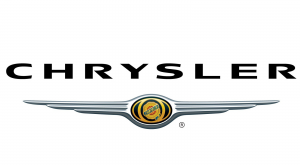 The plaintiffs claim Chrysler and Cummins intentionally mislead the public, illegally sold non-compliant polluting vehicles, concealed emissions levels, knowingly profited from the dirty diesels and used fraudulently gained emissions credits from the US Environmental Protection Agency for use on future production of high-polluting vehicles. The complaint states that in addition to hiding the true emission outputs, the affected Cummins diesel engines wore out the so-called catalytic converter more quickly because the engines burn fuel at a higher rate. Consequently, truck owners frequently had to replace the converter after the warranty had expired at a cost of approximately $3,000 to $5,000. The case is James Bledsoe et al. v. FCA USA LLC et al., case number 2:16-cv-14024, in the U.S. District Court for the Eastern District of Michigan. Rusty Trucks? What a whopper! A $3.4 billion settlement has been agreed in a defective automotive class action brought against Toyota Motor Co. The lawsuit alleges that the frames in certain Tacoma, Tundra and Sequoia trucks are prone to rust corrosion and perforation. Under the terms of the deal, approximately 1.5 million vehicles that may have defective frames will be inspected and an estimated 225,000 trucks will have their frames replaced. The Toyota frame lawsuit was filed in 2015, alleging its 2005-2009 Tacoma trucks were made with frames that are inadequately protected from rust corrosion, rendering the vehicles unstable and unsafe to drive. The lawsuit also alleged that Toyota was aware of the defect but failed to correct it. The settlement covers 2005 to 2010 Tacomas, 2007 to 2008 Tundras, and 2005 to 2008 Sequoias. The Japanese automaker has promised that vehicle owners will not be charged for the inspection and replacement campaign. The program will last 12 years from the date the vehicle was sold or leased, meaning any future perforations will also be covered. The replacement and inspection policy remains valid if an owner sells the vehicle to another party. Further, the plaintiffs have asked for certification of a class of Tacoma, Tundra and Sequoia owners or lessees from the 50 states, Puerto Rico, Washington D.C. and all U.S. territories. The case is Brian Warner et al v. Toyota Motor Sales USA Inc., case number 2:15-cv-02171 in the U.S. District Court for the Central District of California. Adderall Generic Delay. Finally. A $15 million settlement has been approved by a federal judge, ending an antitrust class action against Shire US Inc, that alleged the pharmaceutical company paid competitors to delay selling their less expensive generic versions of Adderall, which is used to treat attention deficit hyperactivity disorder (ADHD). Under the terms of the Adderall settlement agreement, plaintiffs Monica Barba and Jonathan Reisman were each granted service awards of $5,000, and 10 named plaintiffs in three related cases were granted $2,500 awards. According to court documents, some 23,452 claims requesting reimbursement for more than 855,000 Adderall prescriptions have been received by the claims administrator. That’s not insignificant. About $1 million is expected to be left over once all the claims are paid out, and will be donated to CHADD, a national nonprofit that promotes education and advocacy for people with ADHD. Filed in 2013, the lawsuit was initially brought by consumers in Florida and Pennsylvania who alleged Shire created pay-for-delay settlements in false patent litigation against Teva Pharmaceuticals USA Inc. and Impax Laboratories Inc. to delay the generic competition for Adderall reaching the market. The case is Barba et al. v. Shire US Inc. et al., case number 1:13-cv-21158, in the U.S. District Court for the Southern District of Florida.